For our project this semester, we're exploring metaphor as a communicative device in games. This has required the development of certain strategies for navigating this space. In this blog post, I'll give a high level overview of a few do's and don'ts for incorporating metaphor into games. 1. Don't be too on-the-nose: Going into our project, one of our biggest concerns was ensuring we do not telegraph the meaning of our metaphors to our audience--whether through obviousness or explicit explanation. There were to main motivations behind this concern: First, obvious metaphor leads to artistic failure. Good art can contain both obviousness and metaphor, but it rarely contains obvious metaphor (think bad poetry). We don't want our game to be cringe worthy. Second, obvious metaphor is less communicative than metaphor that requires audience engagement. While this might seem counterintuitive at first (Isn't an obvious metaphor the most communicative? ), the truth of this claim lies in the game's longterm impact. And obvious or overtly explained metaphor will go in one ear and out the other, while a metaphor with which the audience must grapple and engage until they reach a "eureka" moment will stick with them longer due to the sense of ownership and discovery involved. 2. Do provide some reference point: While we don't want our metaphors to be obvious, we also don't want them to be obscure to the point of total unintelligibility. Thus, there should be some familiar element in the game around which players can orient themselves and through which you can "prime" them before their encounter with your metaphor. In our game, media player-like controls serve as this reference point. While they don't behave like those of a typical media player (after all, it's a game), they would not appear to behave totally randomly to someone well-versed with such controls. For instance, in one scene, pause causes a city to lose its power and all cars to disappear off the street. This functionality should make sense on some level to anyone familiar with the normal function of a pause button. Another technique we use to provide a reference point is intercutting short montage segments between our gameplay segments. These serve to "prime" the player, essentially controlling their head space indirectly. 3. Don't allow the mechanics to overshadow the metaphor: A major risk when attempting to use metaphor to communicate within a game is that the addictive nature of the game mechanics could prevent the metaphor from getting through to the player. Much like repeating a word can reduce it to a meaningless sound, the metaphorical meaning of your game falls away as the player falls deep into the comforting arms of addiction--focusing purely on the game mechanics. In our game, we avoided this pitfall by focusing on montage and juxtaposition of interactive "clips"--with some thematically consistent "packaging" (the media player buttons) around the variously designed mechanics contained within each clip. We do not have a single core mechanics that develops along a refined difficulty curve, as we feel that such a design could undermine the communicative power of our game. 4. Do make the player care: While avoiding addicting mechanics is important, equally important is ensuring that the game will hook the player emotionally. Imagine someone plays your game and says "I can see there's a lot of meaning here, but I don't care enough about it to investigate any further." This is a scenario we wish to avoid. In our case, we're doing so by selecting striking imagery for our game. If the player thinks anything could happen next, then we have their attention. Even if at first they're only sticking around because the game is "so weird," they're still ultimately tuned in and listening as the game's meaning develops. And hopefully, their view will become more nuanced as the game unfold. I observe that (1) and (2) are extremes on a spectrum ranging from obviousness to total obscurity. And (3) and (4) are extremes on a different spectrum ranging from addictive entertainment to non-entertainment. Navigating these axes has constituted much of the design focus of our project. And keeping these considerations in mind will become ever more important as the semester reaches its end and we continue to tweak, refine, and polish our metaphors. This post jumps off a point made in Jesse's lecture on January 19th, namely the idea that our imaginations need only a few details of a story in order to conjure up an entire world. We fill in gaps and love doing so. Such "imagination gaps" and the role they play in entertainment media are the subject examined in the following discussion. Specifically, I argue that we should make efforts to preserve such gaps in videogames in order to produce more satisfying experiences. I then explore a number of potential methods for doing so. Before examining the imagination gap as it relates to game, I examine a case where it's more commonly discussed: books versus movie adaptations. We often hear complaints that movies don't do justice to their source material. While this is in part due to their condensed nature, it's also because movies are more concrete. While reading books, we picture worlds in our heads. These worlds fill in gaps left out of the text and are potentially more elaborate than anything that could be explicitly stated in words or shown on screen. When we proceed to see a movie based on a book we've read, we find the movie makers have filled in the same gaps we've filled but have done so differently, in a manner less "perfect" for us and perhaps less ambitious as well; after all, the movie maker's ideas don't have the luxury of residing solely in the imagination. Perhaps unfairly to the movie makers, we're disappointed that their movie does not depict our own imagined world based on our own reading of the source material. I often observe a similar disappointment in gamers among longtime fans of various series. When the next installment of a series is released on superior hardware—filling in more details of the series's game world—we often hear cries of "this isn't my [insert series name here]." Take Pokémon, for instance. Many longtime fans of this series cite its initial 8-bit installments as the best in the series. However, Pokémon is not a series that has taken major risks in its mainline games. The series progresses evolutionarily rather than revolutionarily, with each installment improving on the mechanics of the previous in subtle ways. So how could the first two installments be "best?" Well, the answer lies in the gradual narrowing of the imagination gap with each installment of the series. The first games had primitive graphics and minimal story, allowing players to imagine a wondrous world of their own. Newer entries in the series have far more elaborate stories and far less ambiguous environment graphics. The first games fueled the imagination with hints and allusions. The newer game simply "state" the game world to the player. we lost something deeply satisfying to our imaginations. This phenomenon is not limited to Pokémon. Another example that sticks out to me is that of the Final Fantasy series. Final Fantasy VI for the Super Nintendo was a game that—through its primitive sprites and boxart—alluded to a world far grander than could be rendered adequately on the SNES hardware. The technically crude game functioned as a doorway to a headspace in which a fully realized, satisfying experience occurred—an experience fueled in equal parts by Squaresoft's game and the player's imagination. More recent games in the series have not left such an imagination gap open, instead filling it with graphical achievements that—while impressive—pale in comparison to the mental worlds elicited by earlier entries. I see countless other examples similar to the above. How might we address our modern thirst for "imagination gaps" in games? Should we stick to primitive hardware? I'd like to think we shouldn't, but if not, how can we create state-of-the-art games that still exercise our imaginations? Allude to a wider world: Even the most concrete and realistic game could provide fuel for the player's imagination by alluding to far off lands not accessible in-game. Actually, this technique may work even better in games where the explorable locations are heavily detailed rather than vague and ambiguous: If players experience a rich and detailed world and are told of other far off worlds, then they imagine these to be as richly detailed as the game's locales and are thus enticed even further by their mention. Star Wars is great at this; it details a few worlds but shows glimpses of many others, through aliens at the Cantina for instance. Create temporal gaps: Even games with the tightest, most detailed narratives imaginable could provide fuel for the imagination by referring to events that occur outside the time periods they cover. Again referring to Star Wars, the original trilogy did this very well—alluding not only to pivotal events prior to any of the movies but providing temporal gaps between the major releases to be filled in by fans and countless releases in the expanded universe. Create compelling characters: Technologically advanced as they might be, games still cannot easily lay bare the psychological makeups of complex characters. As the popularity of reading and writing fanfiction will tell you, characters' psyches can themselves act as mysterious landscapes for us to discover, ponder, and extrapolate in various directions. Key to this phenomenon are avoiding cliché, providing an element of relatability for the audience, and striking an appropriate balance between sufficient characterization and mystery. When handled correctly, characters are a powerful tool for capturing the player's imagination. Render the world from subjective perspective(s): One final technique I personally haven't seen used much in games, though I suspect it could be powerful, is Expressionism. That is, a game might show its world from one or more subjective perspectives, rather than a single "true" perspective. This leaves it to the player's imagination to develop an "objective" picture of the world. Just as 8-bit graphics did for Pokémon, subjectivity creates ambiguity in even the the most technologically sophisticated game. This in turn creates room in which our imaginations can run wild. As these techniques have shown, it's possible to create imagination gaps using techniques that exist independently or perhaps even as positive functions of technological advancements in the games industry. And I'm sure these techniques are just the tip of the iceberg when it comes to methods for encouraging players to exercise their imaginations. As developers, I think it would be wise for us to keep some of these considerations in mind as we strive to create absorbing, immersive experiences. Sound design is an aspect of videogames that's often overlooked but incredibly important to player experience. At least for me, I find that sound—and particularly music, the focus of this article—can make or break a game. Growing up, my family didn't really listen to popular music much. My Dad was heavily into classical music, and though I listened to some of that, it didn't satisfy my need for hooky melodies and emotional directness. For those, I turned to videogame soundtracks, sometimes leaving games running just to listen to the music. Eventually, I found game composers that I liked and began listening to soundtracks of games I didn't even own. Yasunori Mitsuda was and still is my favorite videogame composer, and I've never even played Chrono Cross—the game to which he contributed what's possibly his best soundtrack. As I began listening to game soundtracks independent of the games for which they were composed, I found myself gravitating toward soundtracks that have more discrete "tracks" and "themes." Nobuo Uematsu is a master of this type of soundtrack—having frequently outfitted older Final Fantasy games with recurring themes or "leitmotifs" for all major characters. These were effective both in the Final Fantasy games I played most extensively (IV, V, VI) and those I only listened to (VIII, X). I developed strong preferences for soundtracks that could stand alone in addition to complementing a game. A couple other strong composers working in this style are David Wise and Koji Kondo, and there are many others. Squeezing a lot out of the SNES soundchip, this track from Radical Dreamers is perhaps my favorite of Mitsuda's. But now that I've had years to reflect on this preference, I've developed a (hopefully) more nuanced taste. I find that certain games aren't suited to soundtracks full of Uematsu-esque melodies. In the wrong context, such soundtracks could easily become overbearing—a notion that never crossed my mind while listening to soundtracks without playing the associated games. Some games that would buckle under the weight of Uematsu's melodies are enhanced by more ambient, diffuse music. And I'm currently playing The Witness—a game with no music whatsoever whose subtle environmental sound design somehow matches it perfectly. It feels like nothing is missing. Electronic ambience enhances Metroid Prime's sense of isolation. 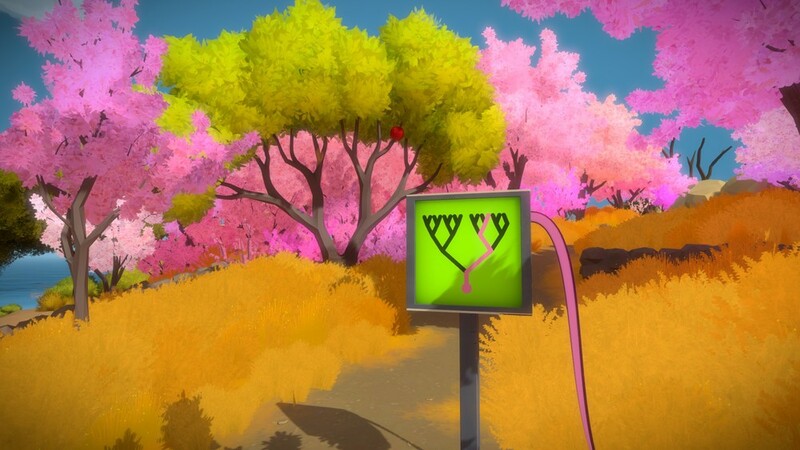 The Witness has no music and is all the better for it. What types of games can support more direct, thematic music? Where is ambiance or silence more appropriate? And thinking more broadly, how might we tailor game mechanics to support our desired aural landscape in addition to tailoring sound to support our game mechanics? These are all questions I'd be interested in investigating. This post jumps off a point made in Jesse's lecture on Tuesday, namely the idea that our imaginations need only a few details of a story in order to conjure up an entire world. We fill in gaps and love doing so. Such "imagination gaps" and the role they play in entertainment media are the subject examined in the following brief discussion. Specifically, I argue that we should make efforts to preserve such gaps in videogames in order to produce more satisfying experiences. I often observe a similar disappointment in gamers among longtime fans of various series. When the next installment of a series is released on superior hardware--filling in more details of the series's game world--we often hear cries of "this isn't my [insert series name here]." Take Pokémon, for instance. Many longtime fans of this series cite its initial 8-bit installments as the best in the series. However, Pokémon is not a series that has taken major risks in its mainline games. The series progresses evolutionarily rather than revolutionarily, with each installment improving on the mechanics of the previous in subtle ways. So how could the first two installments be "best?" Well, the answer lies in the gradual narrowing of the imagination gap with each installment of the series. The first games had primitive graphics and minimal story, allowing players to imagine a wondrous world of their own. Newer entries in the series have far more elaborate stories and far less ambiguous environment graphics. The first games fueled the imagination with hints and allusions. The newer game simply "state" the game world to the player. This phenomenon is not limited to Pokémon. Another example that sticks out to me is that of the Final Fantasy series. Final Fantasy VI for the Super Nintendo was a game that--through its primitive sprites and boxart--alluded to a world far grander than could be rendered adequately on the SNES hardware. The technically crude game functioned as a doorway to a headspace in which a fully realized, satisfying experience occurred--an experience fueled in equal parts by Squaresoft's game and the player's imagination. More recent games in the series have not left such an imagination gap open, instead filling it with graphical achievements that--while impressive--pale in comparison to the mental worlds elicited by earlier entries. I see countless other examples similar to the above. If you agree, then how might we address our modern thirst for "imagination gaps" in games? Should we stick to primitive hardware? I'd like to think we shouldn't, but if not, how can we create state-of-the-art games that still exercise our imaginations?